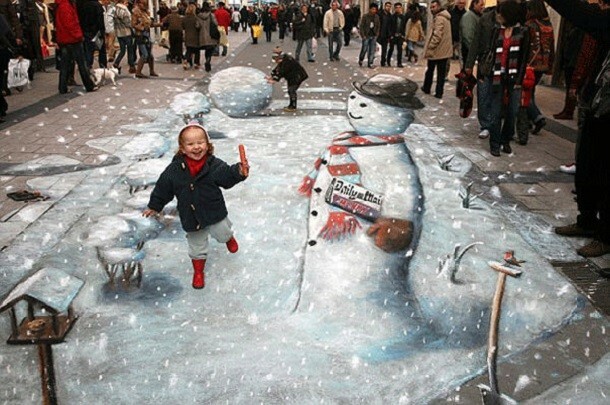 Mr. Snowman and the great nose robbery is a most funny Christmas artwork created by ‘Pavement Picasso’ Julian Beever who designed 3d street with the help of chalk. In this magical artwork, little girl steals the nose off a snowman. Artist in this artwork also shows the snow falling with chalk which attracts the viewers.